Brent Maier is a five-time CrossFit Games masters athlete. He stood on the podium with a third-place finish in the Masters Men 40-44 Division in his debut appearance at the 2013 Reebok CrossFit Games, following the performance with a seventh-place finish in 2014. Though he missed Games qualification by just three places after the Masters Qualifier in 2015, he made his comeback in 2016 with a career-best finish of second place in the 45-49 Division. In 2017, he had another dominating performance in Madison with another 2nd place finish in the 45-49 Division. Finishing out in 4th at Madison in 2018 proves he is one of the most consistent high-level performers in the sport. Before entering the masters division, Maier competed as an individual at the regional level from 2009-2011. 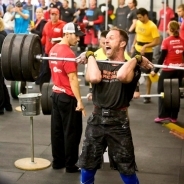 A martial artist with two black belts and a former member of the U.S. Air Force, Maier took fourth and fifth in the 2015 and 2016 CrossFit Worldwide Liftoff weightlifting competitions, respectively.